Directed by Jon Favreau. With Neel Sethi, Bill Murray, Ben Kingsley, Idris Elba. 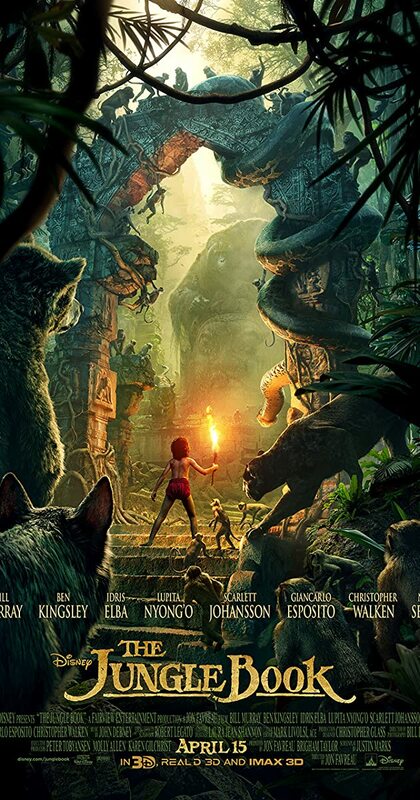 After a threat from the tiger Shere Khan forces him to flee the jungle, a man-cub named Mowgli embarks on a journey of self discovery with the help of panther Bagheera and free-spirited bear Baloo.